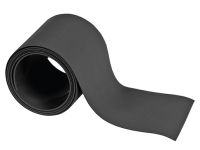 Single & Dual Wall - Numerous Material Types Available 3/64"-3"
Heat shrink tubing is a shrinkable plastic sleeving that activates when heated. It is commonly used to insulate cables, wires, joints and terminals due to its durable exterior and snug fit, protecting against various environmental strains and abrasions. While all heat shrink tubing generally serves the same function, different needs require different shrinkable tubing. It is common for manufacturers to produce heat shrink tubing that varies in size, thickness and material depending on the desired use, and it is helpful to understand which tubing makeups are best for your particular needs. We provide a wide variety of heat shrinkable tubing that is readily available depending on your specific situation. 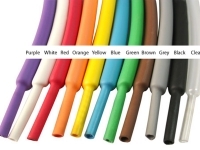 What kind of heat shrink tubing should I buy? The first feature to think about is the size. How big are the wires, cables or general devices you wish to use shrink tubing on? 2:1 heat shrinking tubes shrink to half of their original size, 3:1 tubes shrink to one third of their original size, and 4:1 heat shrink tubes shrink to one quarter of their original size. You will want to pick a sizeable tube that is bigger than your largest measurement, but will shrink to fit your smallest measurement snugly. Next you will want to look at the material your heat shrink tubing is made of. As mentioned, different shrink looms will be needed for different circumstances. 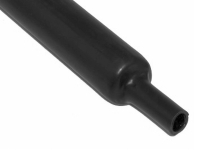 For example, if you were to need shrinkable tubing for an industrial plant, you may decide to go with our Viton shrink tubes due to their powerful chemical resistance, perfect for protecting sensitive devices. Polyolefin is a standard go-to for heat shrink tubing because of its general temperature and chemical resistance, commonly used for the bundling and insulating of wires and cables. For protection against moisture, dual wall heat shrink sleeving provides an environmental seal while fabric heat shrink sleeving uses a special blend of Polyolefin and Polyester yarns to resist trapping water and humidity. Kynar heat shrink tubing provides the ultimate heat resistance and flexibility, making it ideal for small spaces like fuse coverings. Neoprene heat shrink is the popular choice for military and aerospace because it contains flame-retardant properties and is extremely resistant to vehicle components like lubricating oils and hydraulic fluids; however, diesel resistant heat shrink tubing is also a suitable choice. 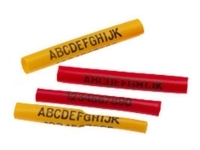 We also provide different colors of heat shrink tubing for identification purposes, as well as customizable heat shrink tubes if you would like specific lettering or wording. What other things should I keep in mind when purchasing heat shrink tubing? You will want to find some sort of application designed to heat the shrink tubing. Heat guns and butane torches are powerful and effective, providing the maximum heat necessary for proper shrinkage. You will likely want to find one that is handheld and easy to use, but make sure to use a proper temperature range depending on your tubing. Remember, different materials can withstand different heat levels! Alternatively, you may be interested in using adhesive-lined heat shrink tape instead, since some applications may not be able to fit through shrink tubing. 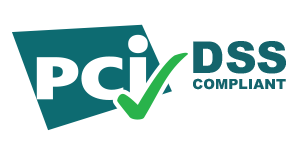 It provides the necessary bonding and protection with added flexibility and versatility. 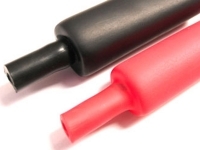 Why should I use heat shrink tubing? There are a few reasons heat shrink tubing can be beneficial to your lifestyle, both to the average do-it-yourselfer and the experienced tradesman. In many cases, heat shrink tubing surpasses basic insulation thanks to its durable and flexible properties. It can shrink to a desirable size and provide a snug fit while still providing quality protection. It also provides better longevity than other forms of binding. Additionally, with a variety of colors and customizable lettering, it can be easily distinguished and enhance the appearance of its application.